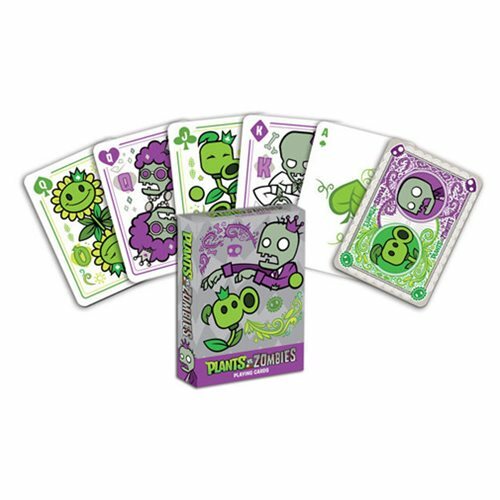 This set of Plants vs. Zombies Playing Cards include designs from the team behind the mega popular game Plants vs. Zombies. Each card features either powerful plants or fun-loving zombies. This deck has 52 cards, plus two unique jokers: Nutter and Imposter. Ages 13 and up.